Signature 14-karat rose gold flat link chain. 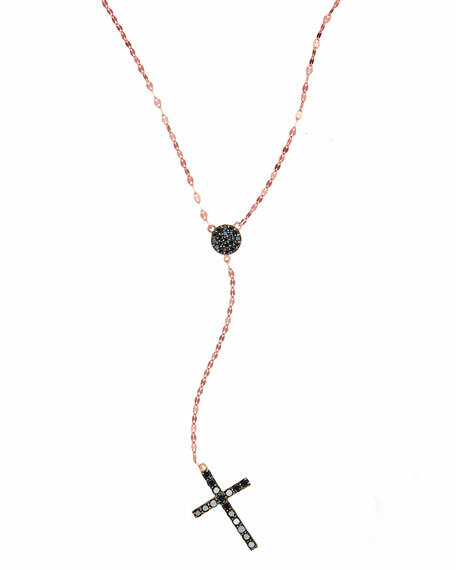 Integrated round pendant and lariat-style cross pendant with pavé black diamonds. For in-store inquiries, use sku #2160137.